Endurance International Buying Arvixe - Will Quality Still Be Maintained? On October 31, 2014, Endurance International Group acquired yet another popular web hosting company. Arvixe is now owned by EIG and will be operated as an Endurance brand. Although the initial transition appears to have been smooth and uncomplicated, many users are worried about a possible drop in the quality of Arvixe service, support and products. Loyal customers have been left with a number of questions as their preferred provider is folded into a larger company. Endurance International Group has been a popular web hosting company for almost two decades. Since its founding in 1996, it has gradually acquired more than 40 brands, including well-known names such as Bluehost and HostGator. It currently manages 10 million domains and nearly three million customers. When Endurance acquires smaller hosts, it allows these hosts to operate under their original brand names, but customer support and service is handled by the central EIG organization. Arvixe is one of the company’s most recent acquisitions. Arvixe was founded in 2003 and has enjoyed a loyal fan base ever since. 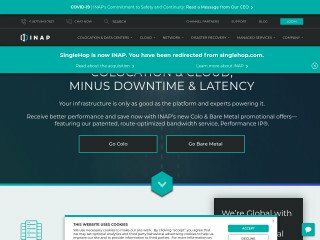 This California-based company has built a reputation for solid web hosting among entrepreneurs, small businesses, professional bloggers and other customers in need of a strong online presence. The company is known for its reliability and its solid tech support. Many reviews emphasize the positive experiences that customers have had with Arvixe’s 24/7 support staff. Even when there are temporary technical difficulties, problems are almost always resolved quickly and cleanly, minimizing the disruption to business. The majority of users who give positive reviews to Arvixe have emphasized the company’s commitment to customer service. Many customers mention the 60-day initial guarantee, which offers a refund if the user is not satisfied with the first two months of service. In an industry where a 30-day guarantee is standard, this extra perk has made Arvixe a popular choice among startup entrepreneurs and other people in rapidly changing fields. Reviews on sites such as WebHostingGeeks have spoken highly of Arvixe’s tech support standards. 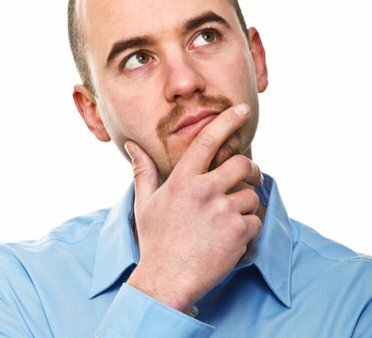 One customer reported that he never had to wait for more than two minutes to speak with an expert technician and start solving his problem. In a fast-moving business world where every minute of downtime can mean a loss of income, this quick response rate has built a good reputation for Arvixe. Endurance International Group has acquired dozens of web hosting companies over the past decade. 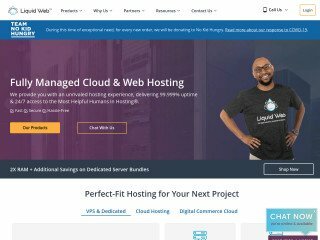 Although small companies are often stronger under the umbrella of a large organization, the personal touch of a mid-sized web hosting company is not easily replicated in a huge customer service operation. Many customers have reported that wait times increase and one-on-one attention decreases after companies are bought by Endurance. While some of this discontent may simply be a result of loyalty to an older company which is no longer operating on autonomous terms, there are some troubling signs that Endurance-owned companies are letting their customer service standards slip. Bluehost was founded in 1996—the same year as EIG. It has been well-known as a personal and business web hosting company since the late nineties. 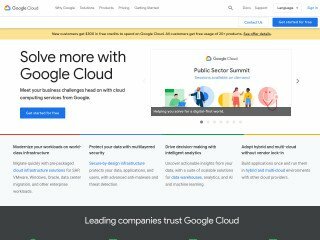 After Bluehost’s acquisition by EIG in 2011, reviews on WebHostingGeeks and other popular sites have begun to slide downhill. One disgruntled long-term customer reports that service and tech support has “gone down the tubes in recent years,” citing the lack of immediate responses and accurate time estimates. Instead of speaking with one expert who can focus on solving the problem, customers are often handed off between several tech support staff, requiring them to explain the issue again and start from scratch each time. Information is no longer consistent between calls and emails, and some tech staff attempt to sell additional products or services instead of tackling the problems that exist. 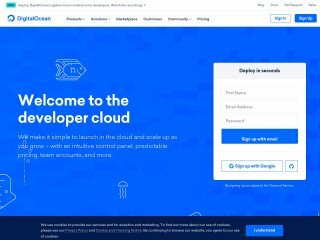 A number of customers emphasize the fact that Bluehost’s prices and software options remain ideal, but tech support is no longer satisfactory. 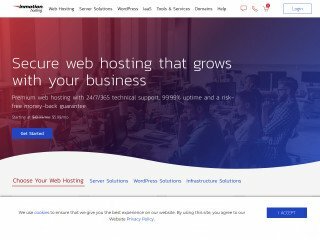 Although Bluehost is still a popular web hosting company, its reviews have declined steadily since the EIG buyout, and many new customers are reluctant to try it because of its recent reputation for inferior customer service. With the purchase of Arvixe by EIG, many people in the web hosting community have begun to wonder whether Arvixe will suffer the same decline in support. Arvixe has built a strong customer base with attention to smart customer service and fixing things in a timely fashion. Arvixe was among the first web hosting companies to use online chat as a support option, and this feature has become popular and convenient for many customers. For bigger issues, Arvixe users have consistently reported good customer service results via email. Now that this medium-sized company has been consumed by a much larger corporation, long-term users are unsure whether it will be able to sustain this level of personalized support. As more and more people develop and maintain websites, the market for web hosting is more competitive than ever before. The lightning speed of online business means that interruptions must be kept to an absolute minimum. Arvixe’s user-friendly interface, award-winning customer service and other features have helped it build a good reputation among customers, with reviews consistently above four stars, even from the most demanding user populations. Time will tell whether Arvixe can maintain this standard of quality under the umbrella of a larger company which may not be able to pay as much individual attention to customers. Whether it’s your favorite brewery, your favorite bakery or your favorite web host, almost any company is at risk of being bought out by the giants of the modern economy. This can be disconcerting and even a bit sad, but it doesn’t always have to mean a rapid decline in quality. As large corporations acquire more of their local competition, they are starting to pay attention to the customer experience and devote more time and resources to real-life support. Loyal Arvixe users are hoping this will hold true in their case. To find out more about your options for smart web hosting, get in touch with an IT professional today. I get super sad about buyouts because I am very brand-loyal and it’s hard to know if the new company will take my trusted brand/company in the right direction. I have high hopes for Arvixe — hope they won’t be crushed.